I get offered a lot of stuff to review these days, and often have to say no. However one thing us girls really can’t resist is gorgeous stationary. So when Santoro London got in touch to see if I’d like to review a few products from their website I just couldn’t resist. I was particularly drawn to their Watercolour Birds range. The design is so pretty and matches a lot of things I already have. They sent me a notebook, sticky notes set, gadget case and a very pretty tin of lip balm. The package came beautifully wrapped along with a lovely note in one of their very pretty greetings cards. While looking through their website I was really impressed with the extensive range of designs and gift ideas, as well as offering wrapping and cards so it’s a great one stop for things like birthdays and mothers day. Of course you could just treat yourself to something nice. The overall quality of everything I was sent was excellent, and I’ll definitely be using the website in the future especially for things like notebooks as I get through so many. I also have my eye on this iPod sleeve to match the gadget case which I am using for my iPhone. The notebook was a lovely hardback one with an elastic strap to keep it closed. The pages are beautiful and thick with lines. This a perfect blogger notebook as you can tuck notes and business cards inside without them falling out in your handbag and getting lost. I love the design and the pretty spine, makes it perfect for tucking into my bookshelf until I’m ready to use it. I laos love how many matching items are available in this print. I really love the idea of having a matching notebook and phone cover. There are several other notebook designs to choose from, including a rather lovely cloth-covered one. The little book of sticky notes, comes with a range of designs and sizes. I use sticky notes all the time and have used absolutely loads of these since I got them. 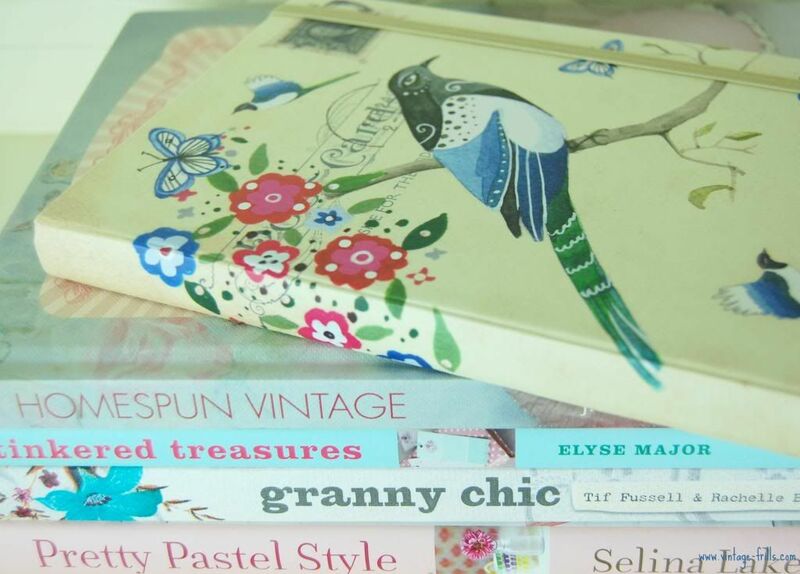 They are great for little notes and reminders as well as organising my very packed diary. I’ve had to keep these away from my girls or I know they would have used them all by now! I like that they come tucked away in a little book, which has kept them all fresh and new looking and not dog-eared at all. They are also very pretty! As someone who has smashed far too many iPhone screens, a good cover or case is an essential for me. This one is quite padded making it a very good protection for my precious phone. It’s really smooth inside so there’s no fear of scratching the screen. It’s quite stretchy so would also be suitable for other similarly sized phones or iPods. I’d love to get the matching cases for my other gadgets too. The pretty lip balm tin is from one of their other ranges and is so pretty! This is another thing that I will be carrying around in my hand bag at all times. The balm itself is a lovely watermelon flavour and feel really smooth on the lips. I think this one would make a great base to put on before applying a coloured lipstick. This wins over my other lip balms simply because I love the packaging so much! There are a huge range of tin designs and also a few different flavours so definitely something for every taste. All in all the experience of working with Santoro London has been fantastic, the people and products were both absolutely lovely and I’m definitely giving them my stamp of approval. Check out their gorgeous website here. My word, their offerings are immensely lovely! They appeal to both the letter writer and the paper crafter in me. Thank you very much for the beautiful introduction. These are so gorgeous 😀 so cute! Have you checked out their website? So much pretty stuff!!! !